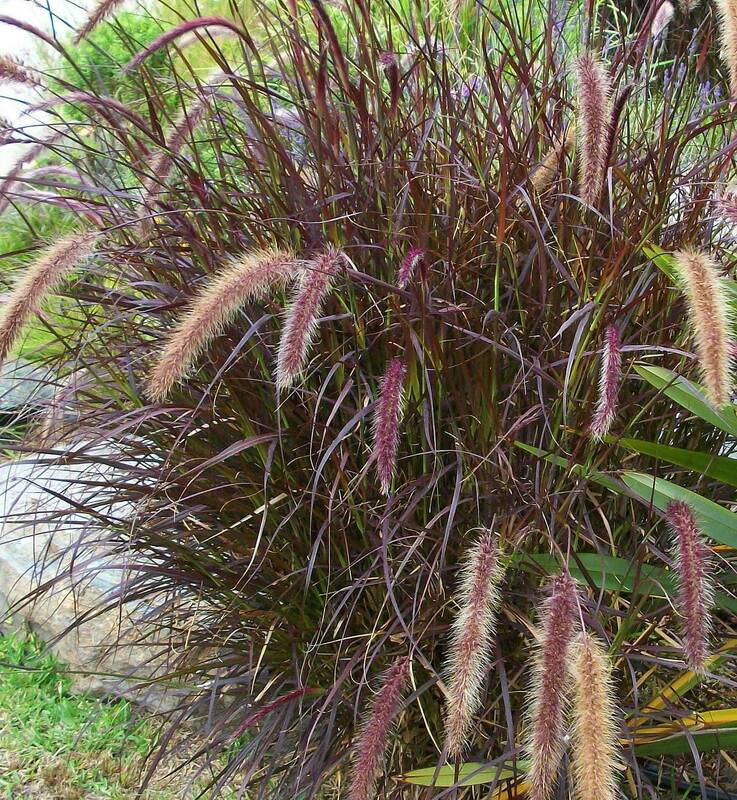 Description: Pennisetum advena ‘Rubrum’ is graceful, clumping perennial with showy, arching, purple foliage. During spring, summer and autumn pinkish, feathery, sterile plumes are produced, rising above the foliage. New growth is lime tinted. Pennisetum advena Rubrum is a quick growing grass. This grass seems to be completely evergreen (red) in frost free zones, but goes deciduous with frost and it is root hardy to -6 to -3°C (20-25°F). In frost zones can be overwintered in sheltered containers. Cultivation: Pennisetum advena Rubrum require low maintenance once established. Use any well composted mulch type to maintain the soil humidity during dry times. Trim it back about to ground level in winter or early spring annually to remove last season foliage and to encourage new growth. Position: Pennisetum advena Rubrum prefers full sun positions to bring out the rich foliage colour. Also it thrive well in part shaded position. Pennisetum advena Rubrum will perform well in windy locations. Drought and heat resistant. Soil: Pennisetum advena Rubrum prefers a light, well drained but moisture retentive soil. Water: Water as required to keep the plant healthy for the first 4 to 12 weeks. After this irrigation is optional. Some summer irrigation may be required. Fertilising: Fertilise it in spring using slow release fertiliser and water well to start re-growth. Propagation: Lift and divide congested plants in spring. Grown in containers: When growing Pennisetum advena Rubrum in container, its hardiness is raised by about 2 zones. However, you can always grow container ornamental grasses as annuals. 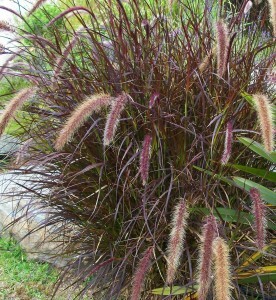 Soil: For potted Pennisetum advena Rubrum use soil based potting mixture. Light: Place the containers in direct light to bright filtered. Water: Water the plant sparingly making the entire potting mixture moist. Allow the top two-thirds of the mixture dry out between waterings. Fertiliser: Apply standard liquid fertiliser once every two weeks, from mid-spring through summer only. Uses: Pennisetum advena Rubrum is suitable for pots, as a feature plant or in mass plantings. It creates an excellent colour contrast in landscape designs. Works well in borders and helps with erosion control. Suitable as annual waterside planting in frost zones and it is perennial in frost free climates. The coloured plumes are used for flower arrangements for both, cut flowers and dried flower.